What Is All This “Gut Health” Stuff? You’ve probably heard lots of talk about probiotics and gut function and irritable bowels, but you might be wondering what the heck everyone is really talking about. I mean, what is “the gut” or the “microbiome?” And should you really be thinking about your bowel movements??? Who wants to be doing that? The short answers: The gut is a general term that can actually reference several parts of your digestive system, including all the helpful bacteria (microbiome) that live there, and YES, how you poo is important. So let’s get down to business. The business of “the gut.” As I said earlier, the gut is a pretty broad term, and it can point to any part of your digestive system. However, in most cases it’s referencing your intestines, the site of absorption of nutrients. This blog is going to focus on the intestines, since they play such a huge role in your overall well-being. Are you ready for a quick anatomy and physiology lesson? The intestines are the place where your body breaks down all that food and drink you consume, breaks it down (with the help of all kinds of cool gastric juices) into tiny molecules that your body can use. 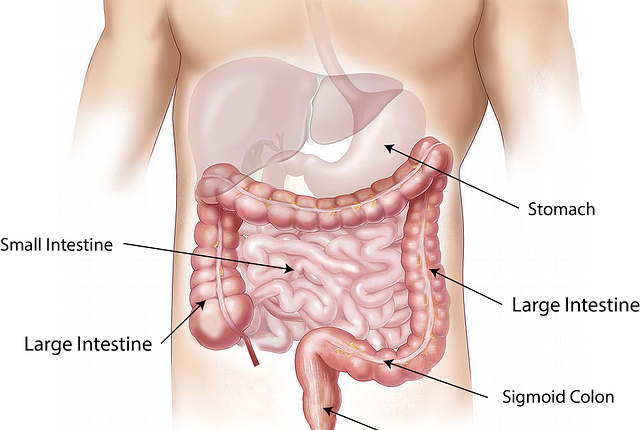 The small intestine comes after the stomach, even though in pictures it looks like it’s below the large intestine. The small intestine is about 10 to 20 feet long (depending on the person) and only one inch wide. The large intestine is wider, but not as long. 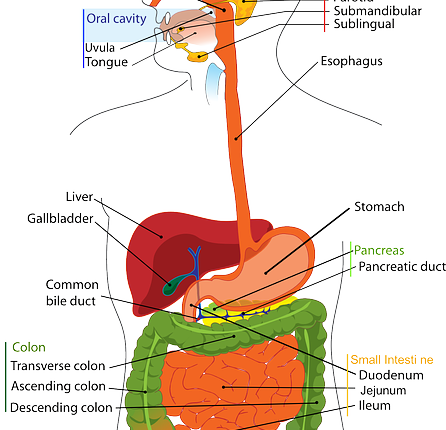 Check out this super cool site where you can hover over certain parts of the gut and find out what they do! The majority of your nutrient absorption happens in the small intestine, though the large intestine is home to most of the microbiome (gut bacteria that does cool stuff that we’ll talk about in a minute) and is very important for elimination of waste. Think about it; if the drain to your shower is clogged, all the dirt and debris is just circling around in the water, right? The same happens in your body. Harmful waste staying inside you is not a good thing. Getting it out regularly is important for your overall health. Helps teach new immune cells the ropes, stimulates them to become germ fighters!! So when you hear your doctor talk about “good bacteria” he/she isn’t kidding. This is serious super hero stuff going on inside your body. 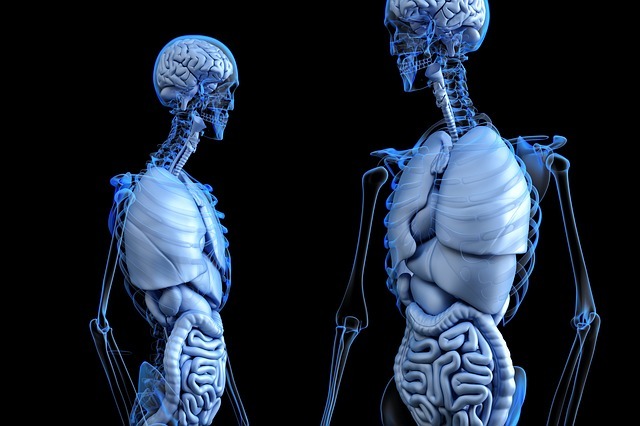 You need your microbiome to stay healthy so you can be healthy. Your gut wall is a pretty amazing entity. I call it an entity because it’s almost like a living, breathing microsystem within your intestines. It’s multi-layered and multi-functional. AND it has its own nervous system! Seriously. It’s called the Enteric Nervous System, or ENS, and it’s completely independent from your central nervous system (the brain and spinal cord). The ENS regulates and performs all of your major gut functions, plus it sends signals to the brain. Maybe that’s where all those “gut instincts” you have come from. One of the cool things about the gut wall is its inner lining. It’s got these finger-like projections called microvilli, and their job is to absorb all the nutrients and give them to your blood, which then carries them around the body to places that need them. If the wall becomes irritated, permeated/breached, inflammation, infection and many “gut issues” can result. It can even impact how well you’re able to digest your food, i.e. take in nutrients. If you can’t get what your body needs, then what happens? That’s another blog . . . 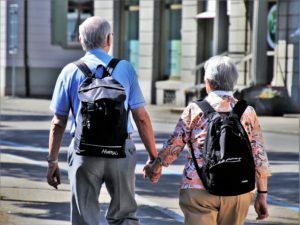 So how do you keep your gut happy and healthy into old age? Are you tired of hearing about eating well, drinking enough water and reducing stress? Well, too bad. Those are really important things to include in your life, and are important for your gut. You need good food (and the right food for you), plus water to help wash it all down and out. Reducing stress is also key. Your body doesn’t promote digestion or healing when you’re stressed; most of your body’s power and energy goes to the muscles and brain because back in the day you needed to outrun dangerous animals. So yes, eating well, drinking water and reducing stress will ALWAYS be recommendations from any doctor. You can also talk to your doctor about your gut health. There are probiotic and prebiotic supplements that can help keep your microbiome (aren’t you so excited you know what that word means now??) healthy and fighting invaders for you. Your doctor can also order tests that can tell how your gut is doing, how it’s absorbing nutrients (or not), or why its not working well. You can also talk to a Naturopathic doctor, they have been harping about the gut for forEVER, and know so much about how you can improve yours. The key to understanding is knowledge. (Ha, doesn’t that sound super profound?) The more you find out about your health, the more you can do to maintain it.